Warning: This is a pretty off-topic post about pinball, but maybe it’ll help someone searching for the information. Backstory: My dad was a coin-op operator. I’m the son of a coin-op operator. As you might imagine, I have a just a tiny bit of love for video games and pinballs. When my dad passed away in 2008, I decided to keep my favorite pins from the route: Funhouse, Addams Family, Theatre of Magic, Tales of the Arabian Nights, and Revenge from Mars. After sitting in storage for a couple of years, the software update sitting on Revenge from Mars would no longer checksum properly. The game was running fine, but obviously something was wrong. After lots of other work on the machine, it was time to update the firmware again to version 1.5. 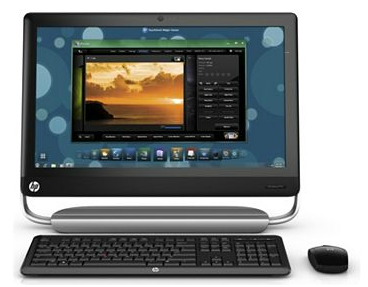 My mom desperately needed a new computer (she's still running XP on a very old Dell), so I decided to pick up one of HP's new TouchSmart 420t machines for her, thinking it'll also be a great machine for Windows 8 when it arrives. HP, in their infinite wisdom, decided that, among other annoyances, one can only create a single set of recovery media from the included Recovery Media Creation application. Once you make the set, that's it. If you lose the media, or if you want to make a second set on USB instead of DVDs, you're out of luck, short of ordering the media from HP for a price. If you are stuck in this situation, there is an easy fix, assuming you still have the Recovery partition available on the hard drive. BlueSoleil has released a new version of their software which supposedly fixes the BSOD problem many people were having. If you were one of them, download and give it a try! I was contacted by Boon Jin Goh recently about his super awesome Wiimote Smoothboard application. Boon Jin took Johnny Lee’s original Wiimote Whiteboard app and added a ton of functionality. What was a proof of concept or tech demo is now a fully functional electronic whiteboard capable of being used in a real environment. Here’s a video showing functionality from the 0.1 version of his app, which has had several updates since. Definitely give it a try if you’re looking for a very capable electronic whiteboard. Great job! Also note that both Johnny Lee and Boon Jin have contributed to our upcoming “Coding4Fun: 10 .NET Programming Projects for Wiimote, YouTube, World of Warcraft, and More” book (yes, the name changed again) with a chapter dedicated to the Wiimote Whiteboard. This chapter will teach you how to build Johnny’s original whiteboard with the Smoothboard’s spiffy smoothing algorithm added in. Description: This session will demonstrate how to build a very simple 2D game engine and game using the latest version of XNA Game Studio. Attendees will learn how to effectively use the content pipeline, import 2D sprites into XNA, manage input from the keyboard, mouse, Xbox 360 controller and Zune, manage game state, and debug the resulting game. The sample code will be built on a PC and run on the PC, Xbox 360, and Zune platforms when complete.